F# is included by default in Visual Studio for Mac. 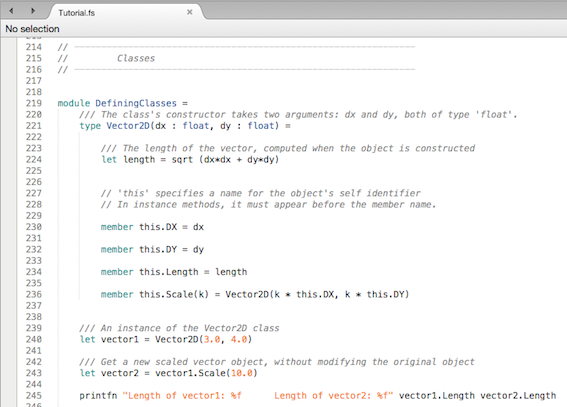 On Windows, you must install standalone F# compiler tools, per the instructions on the FSharp.org site. Creating a new F# application is done in the same New Project window used for C#. 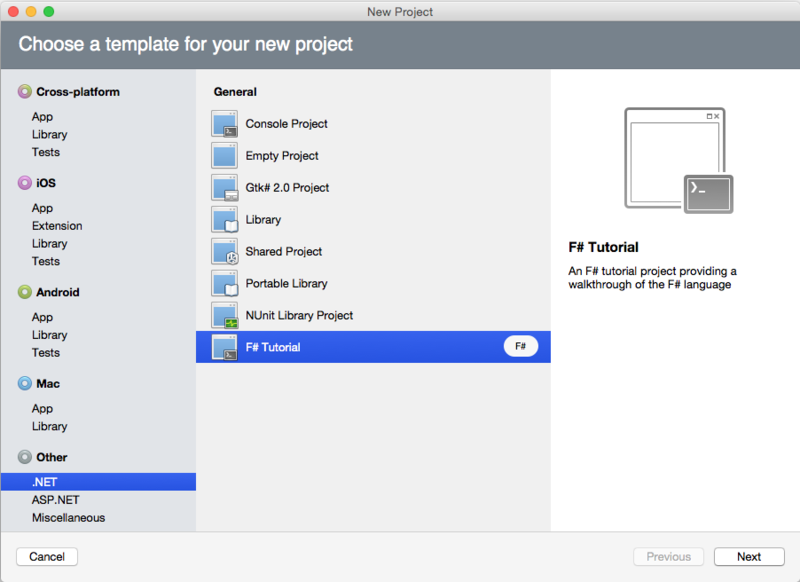 Select your project type and click Next to name and create it. You are now ready to start creating some great F# applications! This opens a new interactive solution. Exploring this is a great way to get to grips with the basics of the language. Check out the list of samples to see F# in action.